Rob is facing the biggest day of his life. He needs to nail a college interview ensuring his admittance to his parents’ beloved alma mater, keep his cool when life-long crush Angela (nicknamed ‘After School Special’ for a reason) finally seems to show interest, and deal with his best friends as they realize their high school days are ending. As pressure mounts, something weird happens. He finds himself reliving the day's events over and over again. Is Rob stuck in a dream? Experiencing déjà vu? Having a psychotic break? Whether it's finding a way to get into Georgetown, into Angela's pants, or having an even bigger epiphany, Rob must figure out how to break the cycle before losing his mind. 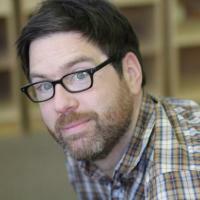 Dan Beers is a writer/director who lives in Brooklyn with his wife and twin daughters. His short film FCU: FACT CHECKERS UNIT starring Bill Murray premiered at the 2008 Sundance Film Festival. He most recently completed the film PREMATURE.